Last week I spent two days and nights in the beautiful, little beach town of San Sebastián. Located on the Bay of Biscay in Spain’s mountainous Basque Country, San Sebastián is known for picturesque beaches, world-renowned restaurants, and its old town (Parte Vieja), home to cobblestone streets lined with upscale shops and vibrant pintxo (tapas) bars that offer local wines and a selection of delicious regional pintxos. San Sebastián is the perfect destination for families, friends or couples looking to have a romantic getaway. 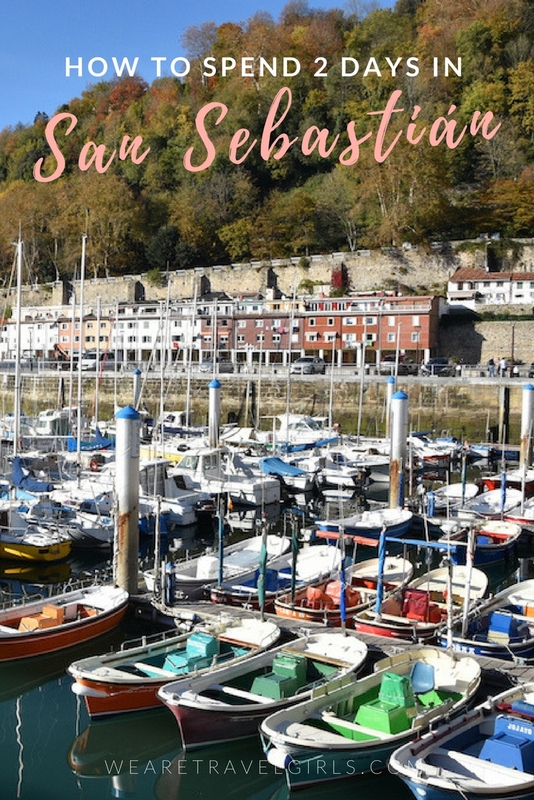 Here are my suggestions for how to spend two wonderful days in San Sebastián. 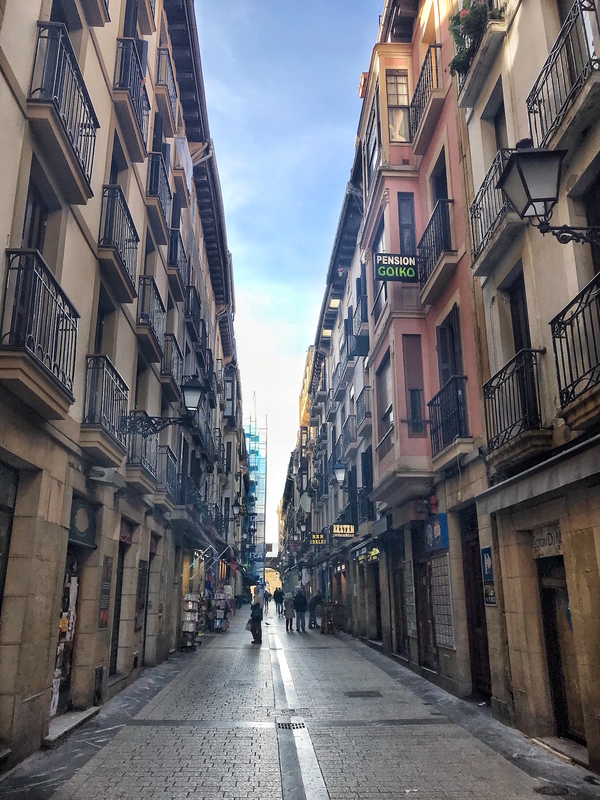 As you might know if you follow me on Instagram, I have a six-month-old, so my husband and I have now been traveling a lot with our daughter Sadie, but for this trip we opted to spend some much-needed adult time in San Sebastián with another couple. You can fly directly into San Sebastián or you can fly into the nearby town of Bilbao. We flew into Bilbao because the flight was much cheaper from London. We reserved a rental car online from Budget Rental Car located at the airport and drove to San Sebastián. The drive takes a little over an hour and is really easy with pretty scenery. It was my first time driving in Europe and I managed not to kill us so that means anyone can do it! 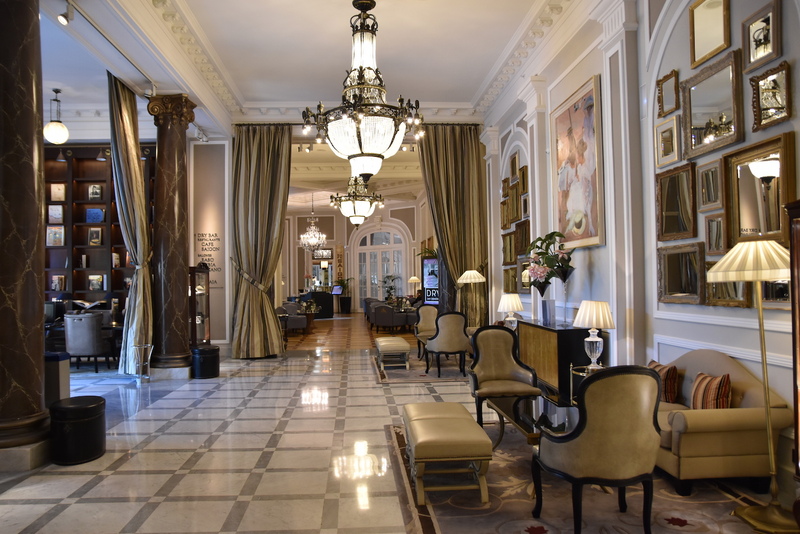 There are a lot of good hotel options in San Sebastián but a friend recommended we stay at Hotel Maria Christina. 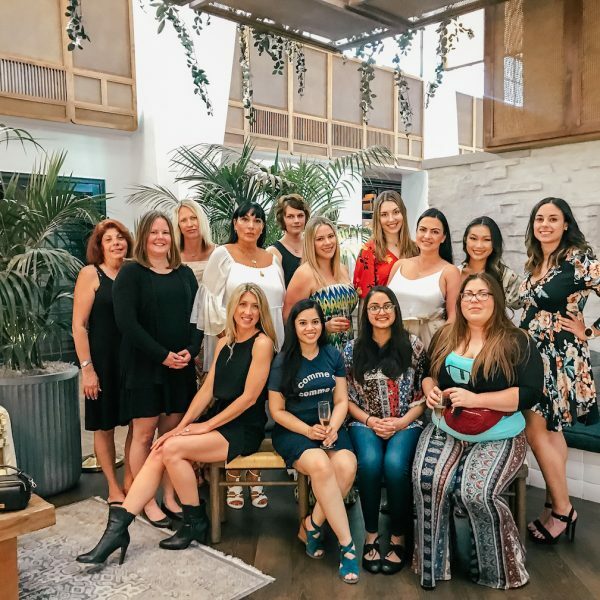 This Luxury Collection Hotel is beautiful and in a great location across from the beach and walking distance to all the best tapas bars in old town. During low season you can get away with booking a room last-minute for around $300 USD/night, but if you visit during the summer you’ll need to book in advance and expect to pay a lot more. By the time we arrived in San Sebastián and checked into our hotel it was 1:30pm, the perfect time to start a bar crawl! As I mentioned earlier San Sebastián is famous for having a cool old town with an array of Spanish pintxo bars. A “pintxo” is the Basque country’s take on tapas – a small, savory snack, that is typically eaten in bars. So drop your luggage and get ready for some great vino and yummy bites! Everything is walking distance in San Sebastián so pack comfortable walking shoes and plan to walk everywhere. Our hotel gave us a few bar suggestions so we headed out on foot visiting three great tapas bars; Gandarias, Atari Gastroteka, and Sirimiri. All three of these were hip and lively with upbeat music playing and great food and wine. 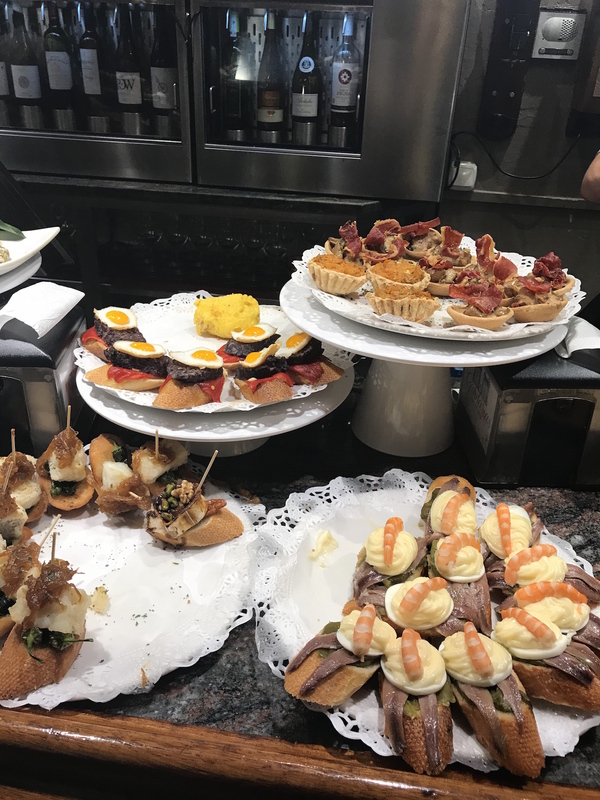 Locals suggest ordering from the menu instead of picking something that is sitting out on the counter in order to get freshly made, better tasting pintxos. Also don’t fill up on too much food at one spot. Order one or two tapas and a glass of wine, enjoy, and then it’s time to move on to the next bar! 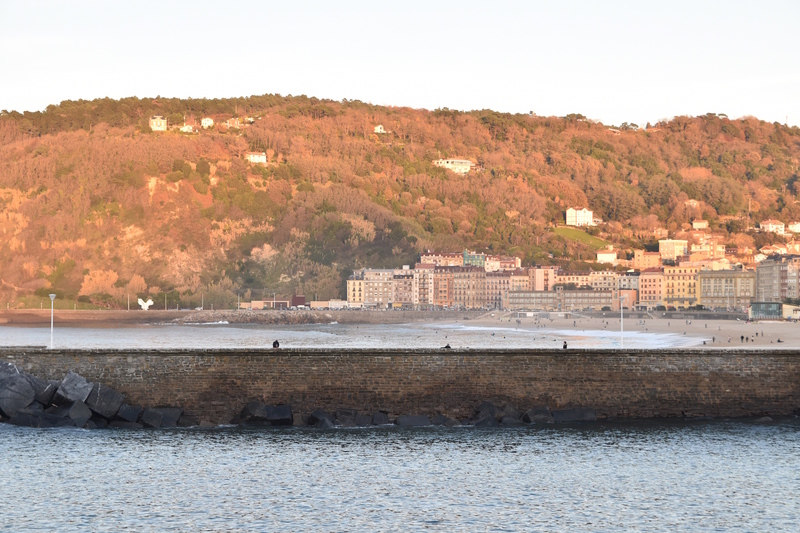 One of the main reasons to visit San Sebastián is that it is a beautiful coastal town with so much to do outdoors! Zurriola Beach, which is less than a five-minute walk from Hotel Maria Christina, boasts an awesome surf break attracting surfers from all over the world. 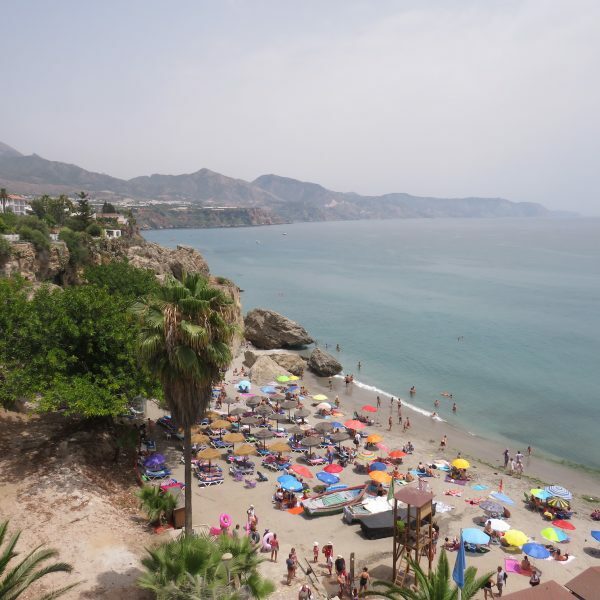 During the summer months there are daily surf classes, volleyball and beach tennis here. Across from the beach, there is a skate park, which is a great place to take kids, and if you walk up Monte Ulia, a national park in the heart of the city, you’ll be rewarded with amazing views! There is also an aquarium, and a large bike path along the water where you can jog, walk or ride bikes. The beaches in San Sebastián are sandy and beautiful – perfect for laying out in the sun for a few hours, or playing with your kids at the water’s edge. For lunch outdoors try La Rampa. Have your hotel call in advance and book you a table on the patio. Even during low season this place was packed! La Rampa is located in the harbor but there is unfortunately not a great view of the ocean. However, what this place lacks in ambiance it makes up for with delicious, fresh seafood. 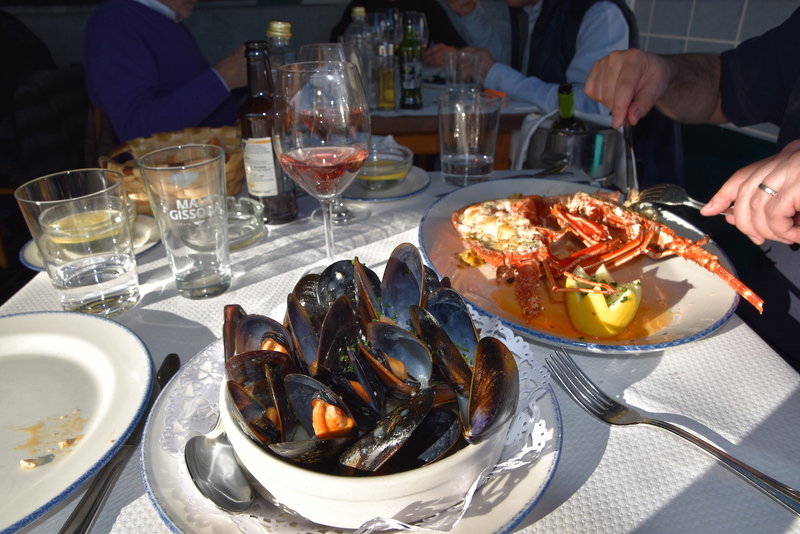 The muscles and lobster were amazing, and tasted even better being washed down with a €12 euro bottle of rosé. San Sebastián is a foodie town famous for its superb restaurants so you will want to splurge on at least one nice meal while you are here. On our second night we had dinner at Restaurante Akelare which boats three Michelin stars and a gorgeous view of the Bay of Biscay. Unfortunately by the time we arrived the sun had set so if you are visiting during winter I suggest opting for lunch here instead so that you can enjoy the view. During the summer months book an early dinner so you can watch the sun set over the ocean. I have to be honest I loved the experience but I thought the food was a bit overrated. 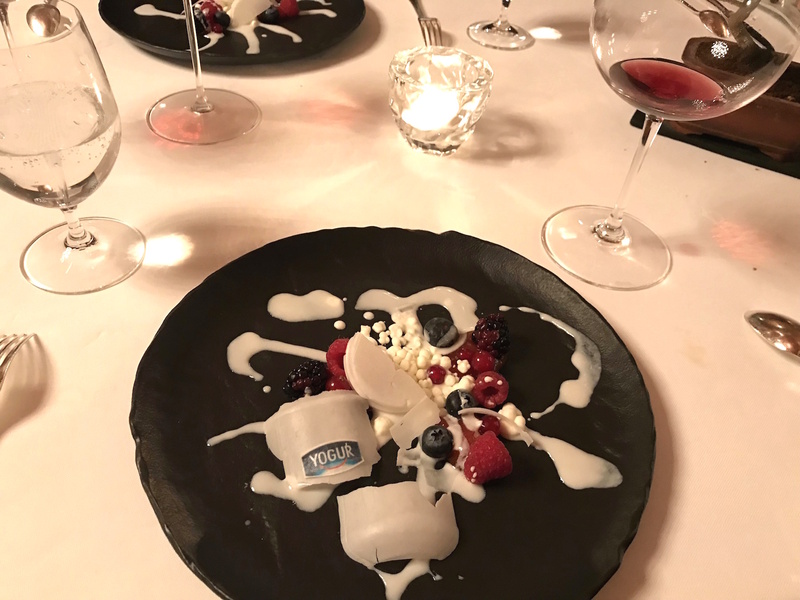 I have had much better tasting menus in London, although I did love the desert which was called “broken yogurt” and was unique, creative and delicious. 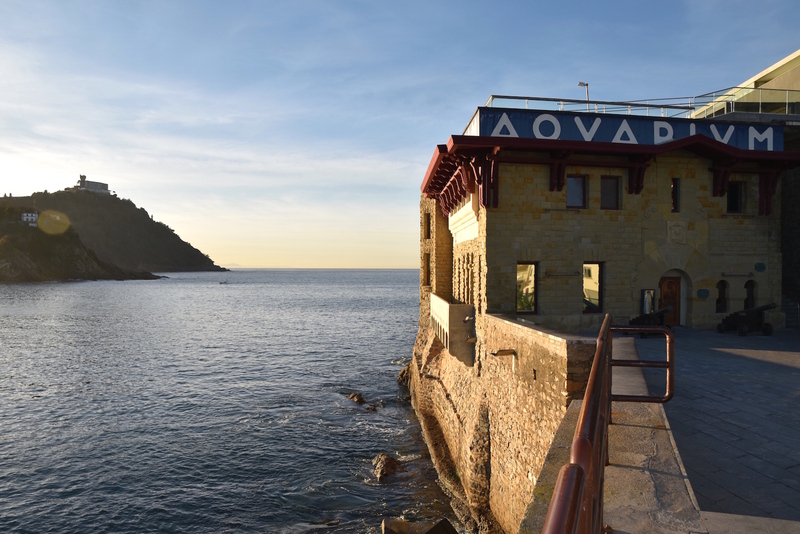 If you’re looking for warm weather the best time to visit San Sebastián is from May to July. 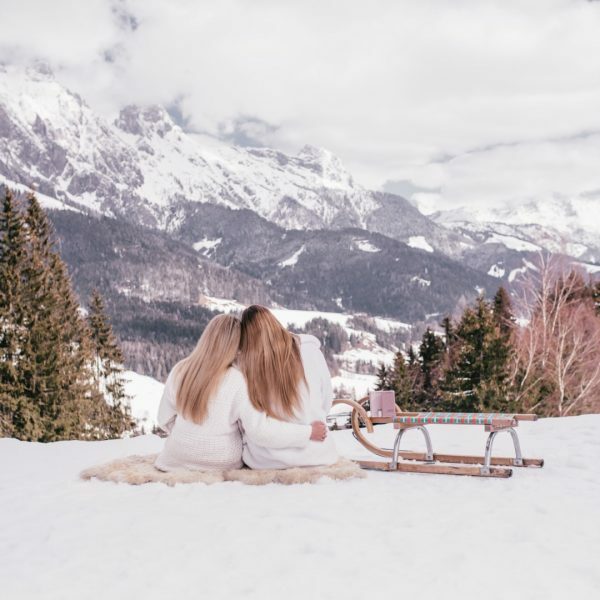 These months offer the best temperatures but this is also peak tourist season so be prepared to pay top dollar for hotels and flights during this time. 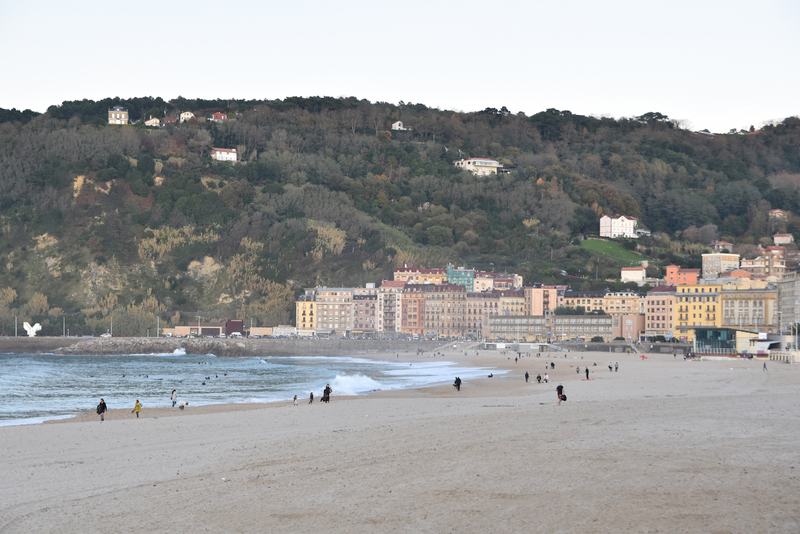 I personally loved visiting San Sebastián in the fall during low season. It was still warm, (one of the days we were there it was 70 degrees), it was quiet, and a lot more affordable. But no matter what time you choose to visit this charming, little town I am sure you will fall in love with it like I did.